"My first album was written in a moment of desperation and is also experience-based. 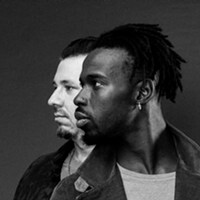 This new album is more about being in your own head." Though it won't officially be released until April, Waxahatchee's Ivy Tripp comes across like a memory just out of reach, evoking that feeling that sometimes washes over one after waking up from a long nap. The dreams themselves may be forgotten, but the feeling can't be shaken. 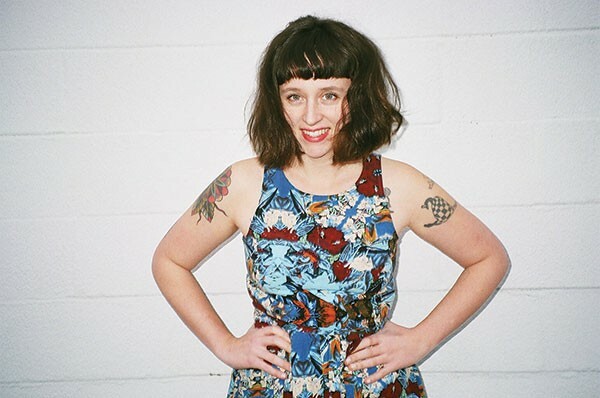 And according to Katie Crutchfield, the singer and songwriter behind Waxahatchee, the process of identifying those moments of deep confusion or sadness, and remaining cognizant during them, is the running theme of the album. This is a mature shift from Waxahatchee's breakthrough LP American Weekend. Released in 2011, American Weekend was written and recorded in just one week, at the Crutchfield family's isolated lakeside vacation home near Waxahatchee Creek, Ala. It offers cathartic, straightforward lyrics about regret and redemption, love and loss — the classic, timeless themes of ballads. "And you drive all the way here to tell me ‘I'm OK' / And I left and I didn't say goodbye, / and I ran all the way home in the gray moonlight," sighs the title track. The album launched Waxahatchee internationally, but each album uses this melodic footprint as a base from which to jump, projecting Waxahatchee deeper into complexity. "My first album was written in a moment of desperation and is also experience-based," explains Crutchfield. "This new album is more about being in your own head. At times, it's about depression. The first album, you know, was kind of just about some boy, so you're there listening, and in that experience and going through the emotions with the music. This album is more in the head, less about any one situation." This heady, experiential progression might be related to Crutchfield's collaboration with Kyle Gilbride and Keith Spencer, both members of Swearin', Crutchfield's twin sister, Allison Crutchfield's band. Each artist brought his own intelligence and talent to the creation of these songs, as well as to the recording studio. "Both have a lot of good ideas. I bring the barebone [ideas], the song structure and melody is all there. We work as a group to pull the rest of the song together and make it whole," says Crutchfield. Both musicians also worked with Crutchfield in the recording of 2013's Cerulean Salt, but with this new album, they offered more creative input in the developmental stages of the music. With a fuller and more dynamic guitar sound, paired with a keyboard and drum machine, Ivy Tripp transcends the simpler song structures of American Weekend and Cerulean Salt. It does not, however, abandon Waxahatchee's style: from simple, clear, vocal-driven folk songs to power-pop hits, pulled together with an occasional surf-esque riff and Crutchfield's signature dreamlike vocals. Having parted ways, musically, with her sister and longtime collaborator — their most recent project, P.S. Eliot, disbanded in 2011 — Crutchfield found herself in a volatile space where she could control all aspects of creating music. It was also a time of emotional upheaval: In addition to no longer collaborating with her sister, she had experienced a few romantic breakups. That spark is what set Waxahatchee blazing, but with Ivy Tripp, the heat has moved to a controlled burn. "When I made the first album," says Crutchfield, "I didn't really know what Waxahatchee was yet. I had a moment of creative productivity. I didn't expect or intend to make [American Weekend], it just happened. Now, as soon as I make a record, I move onto the next thing. It's been over four years since that record, so I'm a different person, and my creative process is a bit different." If American Weekend was an explosion, Ivy Tripp is sparkling, clear effervescence. Crutchfield herself described the album as "gaseous"; the title brings to mind an airy directionlessness felt by many caught in the awkward generation between the millennials and Generation X. As Waxahatchee's sound has become more defined over the past four years, Crutchfield has toured extensively, including a nearly yearlong tour for Cerulean Salt. 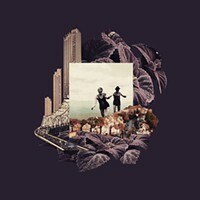 With the upcoming release of Ivy Tripp, the band has scheduled a four-month tour of North America and Europe, reaching Pittsburgh on Friday. "Waxahatchee is fortunate to be supported by two awesome labels who offer a lot of help with booking, promotions and stuff like that, because, yeah, things can get a bit overwhelming sometimes," she says. Despite the welcome support of her labels — Merge, domestically, and Wichita, in the U.K. — "We all hold fast to the DIY ethics," explains Crutchfield, who came up in a world of basement shows and punk values. "I'd hesitate to say we are a DIY band, because we do have this great support, but as far as control over our music and everything else, that's still there and important to us."